There are a number of concerns equated when administering the disruptive physician behavior. Often Temperament issues and disruptive behavior is guilty of low morale and productivity at the healthcare center owing to the unsafe working conditions. The disturbing environment can add tension and enhance the turnover of healthcare employees. Most importantly collegiality is heavily damaged and a colleague at the receiving end of the unsuitable behavior could be less likely to question or express concerns because of the low authority. Does It Only Affect The Co-workers? Certainly not just employees, the overall healthcare institution can experience the damage. It can significantly impair the patient care. There could be inconsistencies in the patient consent, patients might not notify the related issues out of fear, hence an increasing medical error. As such there could be financial consequences to the institution such as passive patient throughput which arises out of lowered efficiency, conflicting events and liabilities. Hence it is important that the healthcare institutions stop this problem as soon as possible. The Disruptive Physician organizes professional sessions and seminars under the guidance of Dr. Jacob DeLaRosa. You can contact our team or call us at call (404) 734-8255 for more information. 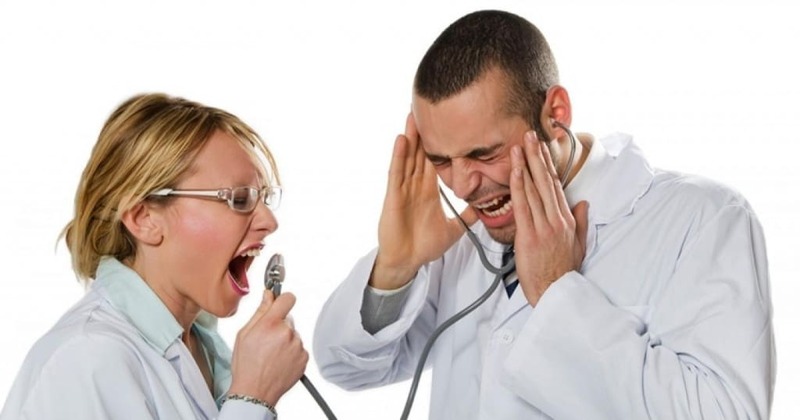 Here in this article today, we will give you a plan to approach the intricacies involved with the disruptive physician behavior in a more methodical and practical manner. Prevention should be the first strategy in the plan. Apparently, you need to make your approach more lucid. It is essential for the management to outline what makes up disruptive behavior and what will be the consequences if someone is found in violation. It is essential that all the employees and physicians at the workplace follow and read the rules and conduct which also apply to patient care. They could consolidate a special category in the bylaws drafted as “professionalism” to address the minimum standard of behavior. The process of the code of conduct should be clearly defined and acknowledged by signing a contract. Identification and reporting of disruptive physician behavior are significant to the success of the healthcare institution. This can encourage greater patient care and support and a long-lasting relationship with the hospital. The minimum standards at the healthcare institution should include maintenance of proper reports pertaining to physician behavior. If someone is found with a hostile temperament, then the medical staff or administrators should be immediately notified. Identification of disruptive behavior should be performed as per defined criteria. It should be made sure that the identification is not done arbitrarily. There should be formal mechanisms, including detailed reporting that should be in place. This will also cover event documentation, protection for colleagues who are reporting retaliation (This is crucial as some employees may otherwise be reluctant to report misbehavior). We are in the era where superior care and patient safety are highly important. As a physician or surgeon, disruptive behavior cannot be tolerated and it is important that this be addressed early in the professional before your institution has to pay any heavy consequence. Acquire a methodical approach to maintain the morale of other employees in your institution. If you need more guidance, you can get in touch with the Dr. Jacob DeLaRosa and his team. You can use this book as a guidance.